The past couple of weeks have been busy, exciting, and affirming for me and the use of the technology that we have available to us today. I have posted a couple of articles here that has told some of the story. But as you may guess, there is “the rest of the story”. But as the story continues to be written, another chapter has been written. It all started with a phone call. An unknown person, with a surname I know, once I got beyond the Caller ID name, called and asked if I knew the relationship between us, the caller and myself, and a Towsend K. Cheyney, specifically to the Ingram Mills. “Didn’t know, but would do some research” was my answer. My wife and I had a chance to have coffee with Megan a couple of months ago and have been following her work for a number of years but have not had a chance to hear her speak. This was the talk for me to listen to, in the midst of the ongoing search for Towsend K. Cheyney. What she described, to me at least, was how she does research in a variety of circumstances. Some of Megan’s examples were what I have been experiencing in my search for Towsend. She used a different term, but the term I use is “look sideways”. That is, if you can’t find what you are looking for, look for other family members others in a community, but to take the blinders off and look around. Don’t always take what you see / read and consider it ‘the truth’, but to consider the possibility that the information may be inaccurate. Check it out. Use other resources. I thought her example of using her network of friends to help with a specific topic was perfect. The term, I guess, that we might use in 2010 is Social Networking, email, use of the Internet in our Family Research. But clearly , in each of her examples, it was more than collecting and connecting names. It was to find out and tell stories about the people she was researching. Who were these “people”? What was their story? and making connections between people. What is what these past two weeks have been about. A phone call from a cousin I didn’t know, reconnecting with a cousin I haven’t seen for “too long”, and connecting with new cousins. And at the same time, making the connection to Towsend K. Cheyney. Within 10 minutes of posting the last message on this blog, I made two “cousin” connections. The first was following a couple of Bloggers on Twitter, Facebook, and the use of Google Reader, where Blogs can be read, letting google sending the blogs to the Google Reader for me to read. I was reading a blog that had, as an example, for this more technical blog, my Dad’s family. All there in black and white. What are they doing on this persons Blog? Followed by another contact asking about the Cheyney Surname. Wow, how cool is that? An Email at least 10 years old, and two “hits” from a blog message in 10 minutes, is an example, for me, as to the benefit of “putting stuff out there” and patiently waiting. That blog is where I saw my Dad’s family. 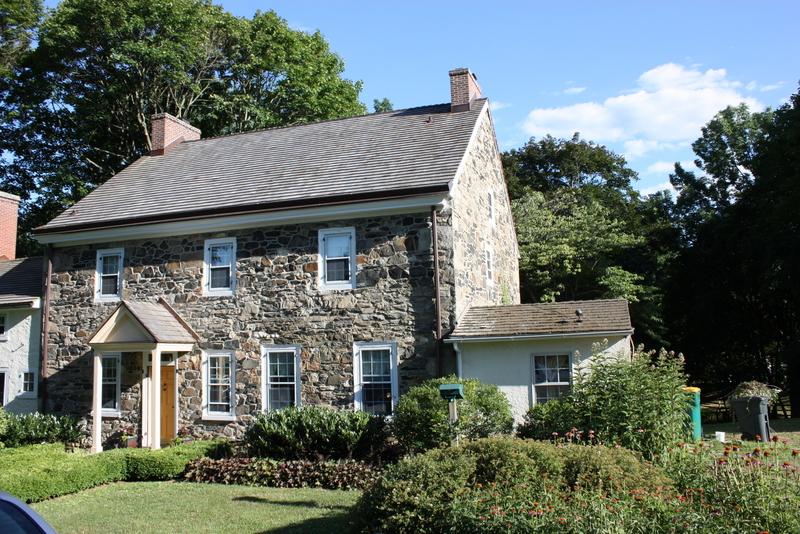 There is a connection there, and more of a connection between the Blogger and Chester County, PA, which is where Towsend K. Cheyney lived. Gini and I have communicated before on other occasions, but not about family research. The subtitle on her blog, really tells a story. “My place to Honor our Ancestors, Memories, Histories, and our Lives”. Like JL, Gini has Cheyney in her research as well. Still working on that connection, but the location for us being related is very good, although not Chester County, PA (yet). She has too many surnames in her research not to have a connection somewhere. The social networking paid off. Finding someone, in the area, willing to do some research or looking around for another researcher. On Gini’s Facebook page, was a series of photos taken at the Southern Genealogical Genealogy Society’s conference last month. Megan Smolenyak had been there, but so had Gini. When I took Megan’s book, Who Do You Think You Are? up for her to sign (for my daughter) I put that photo inside the book where Megan would sign so that she could see my “new found cousin”. Most of the week was doing research, looking for Towsend, no luck, but I had put together a pretty good view of the Cheyney family down from the earliest Cheyney in Chester County (PA). Knowing that I wouldn’t be researching for a couple of days, I remembered the JLog blog posting, so I sent an email to see if there was a Towsend in their files. Waiting for a reply, I did another Google Search for Towsend K. Cheyney. I ended up on a website with the genealogy report that included our Cheyney’s. Oh, and there was a link to JLog as well. So there was a connection. What that tree gave me was the siblings of Towsend, that was information that I didn’t have. This let me look ‘sideways’. A quick check in the 1850 Census put the family together. My ancestor was listed as the brother of Towsend K. Cheyney. When looking the census records showed the neighbors, including other Surnames that were in the family. Haven’t found where “Towsend” came from, yet, but I’ll guess that there is a connection with the surname in the area at the time. Cousin Barbara has the connection to Towsend that she wanted (I hope), Nancy, the current owner of the Cheyney house, is on the way to get the family story about previous owners of the house, and I have filled in a couple of pieces in the early childhood of my father in the letters that Evie had in a bank deposit box. Not to mention connection to cousins who blog. My feet hurt from the “Happy Dance” of the week. The current owners were most welcoming to open their home for 4 strangers who pulled into their driveway, last Friday afternoon. Who knows what it looked like in 1916, but I can’t imagine that it was too different. I now have a copy of a letter that two of the daughters, who lived in this house at some point in their lives, took the baby from here to Brewster, NY when the baby was 5 weeks old. So, I get this phone call Monday ….. So, I get this phone call on Monday. Don’t answer a lot of them, after all, that’s what voice mail is for. Lots of calls, looking for money, trying to see you something you really, really need. This call had a name that I didn’t know, BUT, I knew the area code and the next three numbers. Didn’t know the last 4. Since it was from the town where I was born, lived in for 14 years, and still have relatives there, I answered it. Let me back up a couple of weeks. I have been working on a major presentation on the use of the Genealogy program that I use. For the presentation I created a new file (database) on my mother’s father’s family. I have done the research on that family, but wanted to create a real database for this presentation. Last Thursday, I finished the first draft of the presentation. Wanted it to sit for a couple of days, before I fine to it. I really liked the results of how the file looked in that various outputs (Charts and Reports) that I decided that it was time to return to cleaning up my master file. Since the 4th anniversary of my Dad’s death was the 30th, I was working around cleaning up my Source-Citations that I have collected over the years. Everything was sourced, but I wanted to get the format of the source-citations into a Template Format that the program introduced a while ago. I have spend a lot of time cleaning up that information, but thought it was time to take another crack at it. So, I answered the call and Ms. Cheyney. That surname was my Dad’s mother’s surname. As Gibbs, of NCIS would say, don’t believe in coinsidences. Because I was later for an appointment, I took some notes on what she was talking about. She called me because someone had asked her a question about a property in West Chester, and did she know anything about a certain Cheyney. She through out a bunch of Cheyney names, some I vaguely remembered, a couple that I didn’t. Having received a couple of calls like this before, I asked how she got my phone number. The reply was a 10 year old email message that I had sent to another cousin. Also a Cheyney descendant. Another “Gibbs Slap” (NCIS again). I asked her to email me some information to help confirm what she had just told me. Did ‘my thing’ walked in the door and looked at file genealogy file. Yup, I had most of the names, checked my email, yup, we’re good, but couldn’t find her in my file. Not a biggy because I hadn’t done much down the siblings of my Grandmother, except the cousin who sent the caller the email. 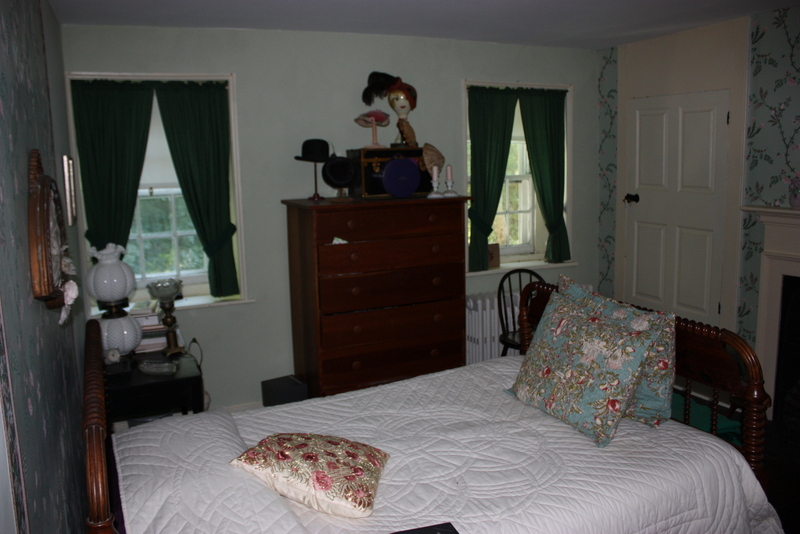 Sent a couple of emails, one with Pictures of the “Cheyney House”. Not the property she was looking for, but what I knew of the “Cheyney House”. Well, that started the ball rolling, and a real ‘need’ to jump in the car to get more information and to share what I already had. The rest of the week (Tuesday, Wednesday, and Thursday) just had too many other “things” going on, it seemed. But once she told me who she was a descendant of, I actually had her name in my file. I even had a husband’s name. Not the Caller ID surname, but another. But, I had her. Data entries to clean up my act a little and already knew that was a multiple trip adventure. My July calendar was already too crowded, so wanted to visit soon. I knew the “other” cousin schedule is always very full, but it would be nice if the three of us, and my wife, could meet soon, then get back together later. Friday was looking like THE DAY for the visit. All of the data I had was in my database, so Thursday night was “gather my material, books that I have created, generated some Family Group Sheets” night. Took some time looking at some old material I had, including an old journal that my grandfather had kept for years. But that’s another story. Besides leaving some home work (blank Family Group Sheets) I want to leave the new cousin, and the cousin who I have kept in touch with, a gift. A Descendant Family Chart, from our common Great Grandparents was the gift along with a Genealogy Report from the same Great Grandparents. The driving force causing the urgency was the word Family Bibles (more than one). Good Digital Camera, battery charged, spare battery charged, no time for scanners, and off we go. What a day …. the three of shared lots of information, but had limited time for detailed information, but we had two missions we wanted to accomplish. 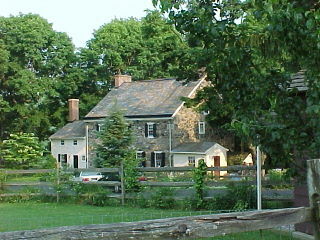 One was to visit a Cheyney Cemetery, and the second to find the Cheyney House. The four of us pile into the car and off we went. Found the cemetery, tooks pictures of most of the headstones with my cemetery camera, then off to find “the house”. The second cousin and I had been to this out 10 or 11 years ago, and we both knew about where it was, but haven’t been there, nor in the area, since that first trip to that house. A couple of ‘wrong’ turns later, we went down this street and we knew were were really close. Both of use said it close about the time we spotted the corner of the house so we KNEW and found “the house”. We saw the owner walking into the house, so we knocked on the door. Sorry folk, this isn’t a short story. A brief introduction with the reason we were there, and we were very warmly welcomed into ‘the house’. Another Gibbs slap … if you know the NCIS program, you’ll know what I am talking about. As it turns out, the lady of the house has been doing research on previous owners of the house. AND here she is looking at 3 strangers (and my wife) who were related to the former owners of that house. She was looking for us and there we were. What a wonderful, warm, welcome we had. There are other connections that we had with the current owners, but that will have to be another story. There is more. The final touch for me, in that house, was to go into the upstairs bedroom where my father was born in August, 1916. Who would have thought that a simple answered phone call, would put me into the house where my Dad was born. We’ll visit that house again soon to help fill out some of the “rest of the story” or connection with the current owners of that house. After 10 or so years, I returned a book to my cousin that was jammed pack full of genealogy information. She was having a family gather and invited us over for dinner. OK, I can put in another pitch for completed Family Group Sheets. While dinner was being prepared, I was shown two more Family Bibles, (had taken a number of photos at the other (the original caller) cousin’s house. Then a small safe deposit type of box was presented. It wasn’t a big box, but jammed back with deeds, wills, and letters. My new portable scanner, that is good Digital Camera, now has a couple of hundred pictures of many of the items in that book. One of the gems was a letter “home” from my Great Aunt. I remembered this great aunt because we would visit many times while growing up. The interesting thing about this letter, was it was dated 6 weeks after my Dad was born, from where my Grandparents moved to after they were married. So, very shortly after my Dad was born, my grandmother (guessing here) returned to where my grandfather was working on a farm in Brewster. My Great Aunt, guessing a little, must have gone up to Brewster to help here older sister take care of the new baby. The food was awesome, the reconnecting with family was awesome, and a 2 hour drive home. Sorry folk, you can’t make this stuff up. There is no doubt that some many blanks in the Family Group Sheets will be filled in so that I can re-run the Genealogy Reports and another Chart can be generated. As the four of use were talking we kept reminding ourselves that we need to capture our stories for those who follow. It’s more than names, that those of us who do family research collect, but their stories. Just a warning, for visitors to this blog, it’s going to become very active for a while. The stories about the people that the three of are directly connected to, will be shared here. You are currently browsing the archives for the Cheyney category.